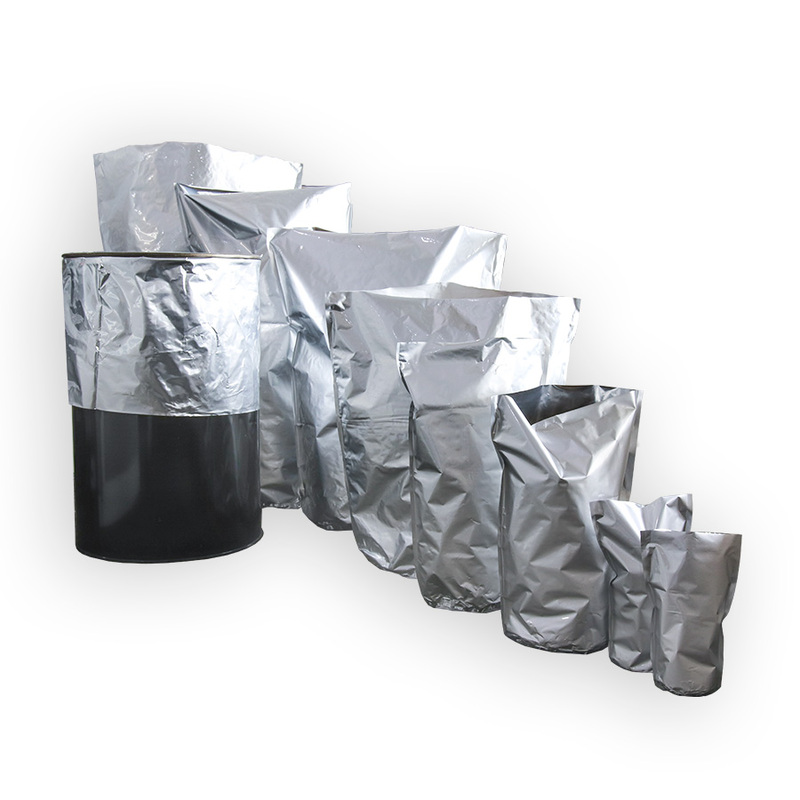 IMPAK’s protective drum liners are manufactured from high-barrier foil Mylar laminate and have a flat, round bottom that allows them to conform to the interior of drums and pails. Unlike clear poly drum inserts, these Mylar versions drastically increase shelf life while protecting contents from water, moisture, vapor, light, and oxygen. In addition to protecting contents, these barrel liners protect barrels themselves, converting any drum or pail to a food-safe storage container. 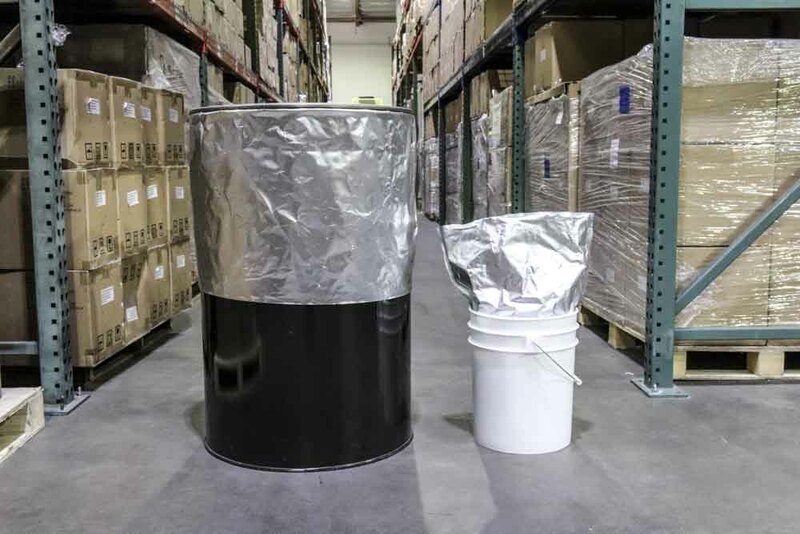 IMPAK stocks standard sizes for 5 and 55 gallon drums, in a heavy-duty 5 mil thick proprietary material, and can custom produce foil drum liners in a variety of sizes and materials. IMPAK’s round bottom drum liners differ from other manufacturers’ products because they have a much better barrier against light, oxygen and other environmental corrosives. 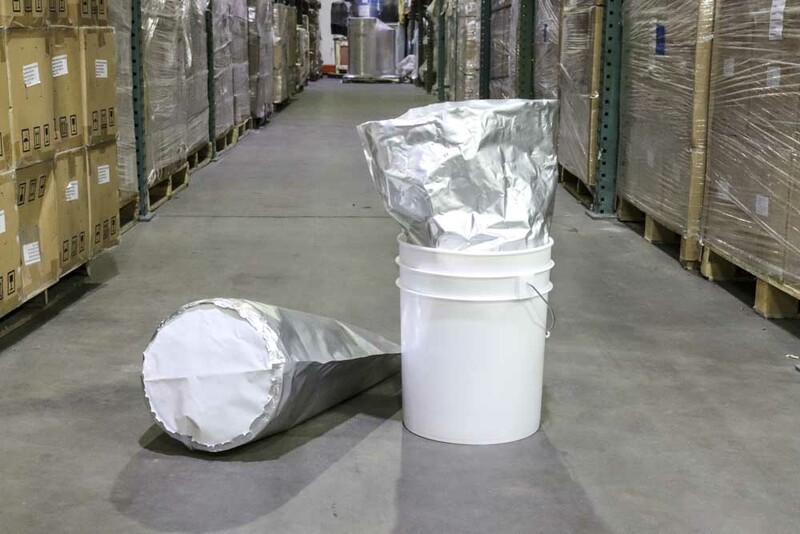 The Mylar foil turns any drum into an air-tight storage container, but even when compared with other Mylar foil drum liner, IMPAK’s proprietary white, food safe laminate and thicker 5 mil construction stands out. 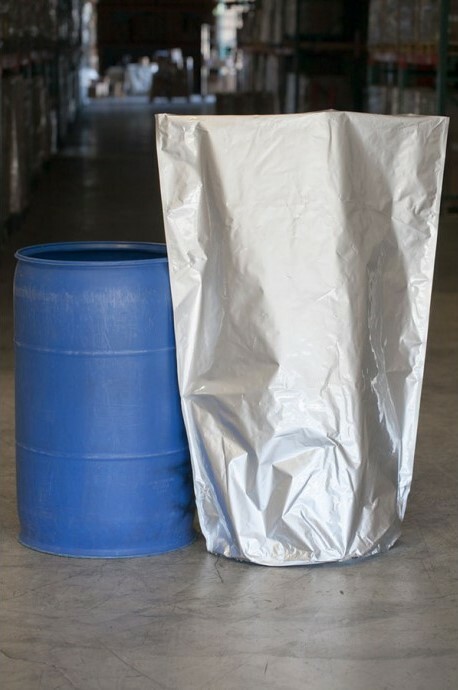 5 Mil Thick Mylar Drum / Pail Liners from IMPAK come in two sizes which are ideal for 5 and 55 gallon drums. For 1 gallon drums, 30 gallon drums, or any other size drum, contact us for a custom order. We offer surprisingly low minimum order quantities and can provide a range of custom materials. 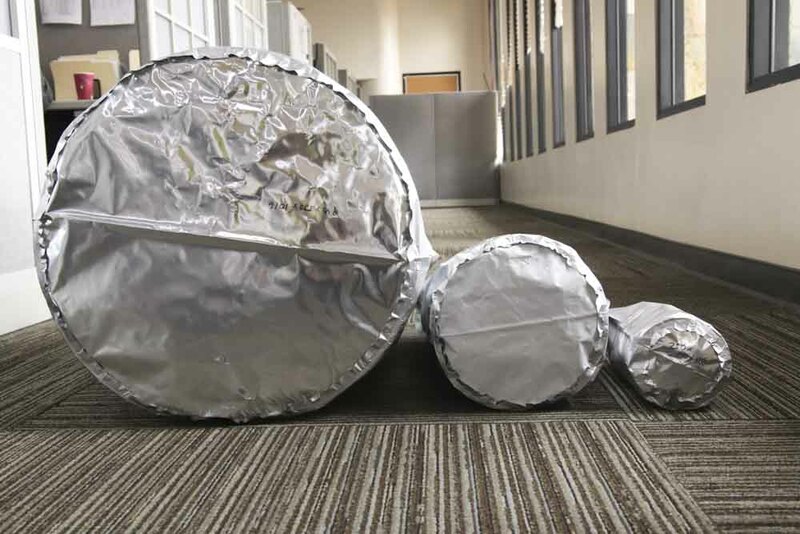 IMPAK not only offers 2 standard sizes in our recommended proprietary film, we can also custom produce form fit round bottom drum liners in a wide variety of sizes and materials. 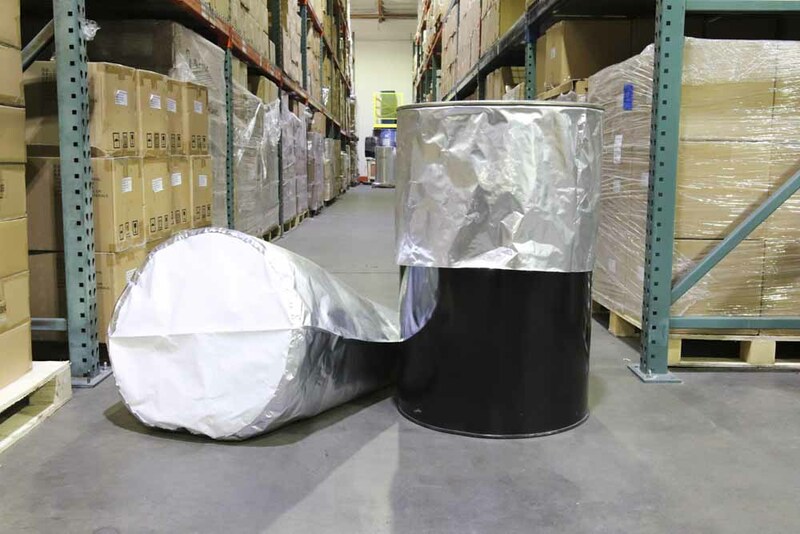 The Mylar foil used in our heavy duty drum liners is sufficient for preserving most products, however to extend the product shelf life to years or even decades, we recommend oxygen absorbers. This sealed bag with oxygen absorber is what we call a “sorbent system” and is the core of IMPAK’s business. If you are purchasing one of our round bottom drum liners for a hygroscopic or oxygen sensitive product you may wish to consult a technical representative at the company to determine the residual air volume and how to ensure long term efficacy of your product, especially pharmaceutical grade powders, food supplements and other products that are typically hygroscopic. Speak with our specialists for more detailed guidance on oxygen absorber sizes, or see our rough recommendations below. As a stand-alone bag, we recommend using a 1500 cc Oxygen Absorber for loosely packed items, such as pasta and a 750 cc Oxygen Absorber for more dense items, such as flour or sugar. 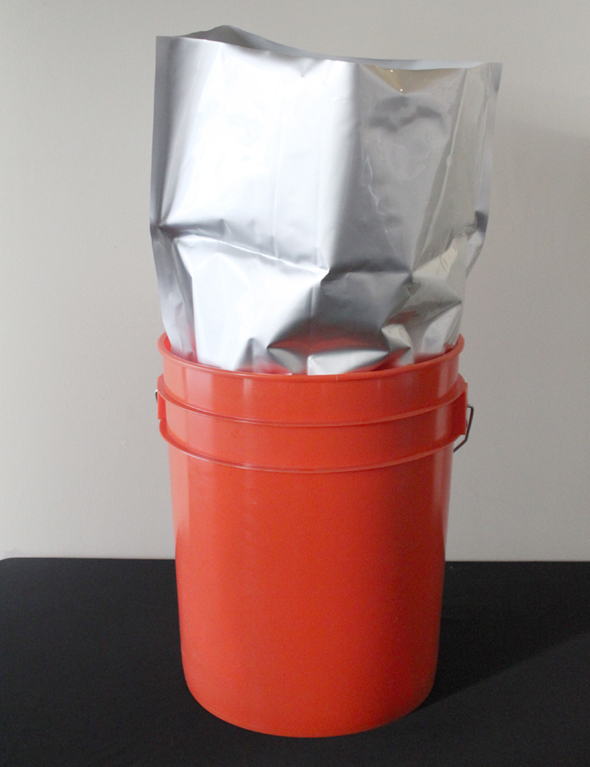 As a 5 gallon pail liner, we recommend 750 cc for loosely packed items and 500 cc for more densely packed items. 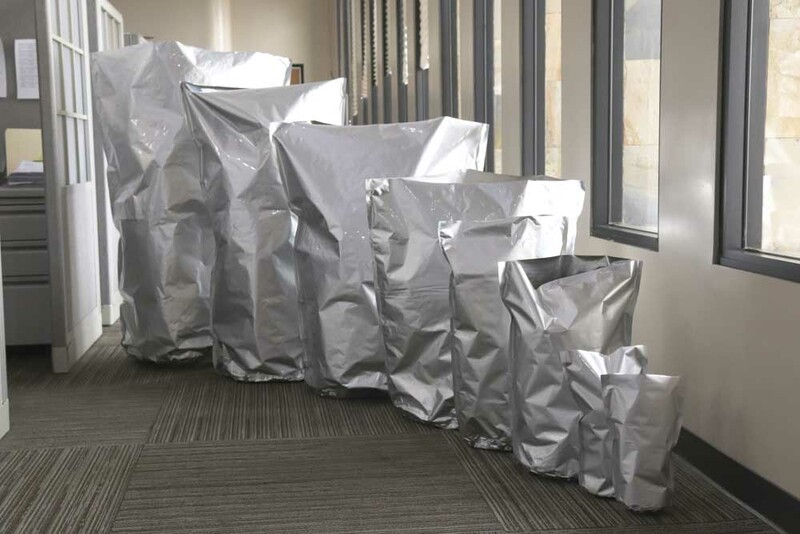 IMPAK would typically recommend an alternative solution to oxygen absorbers for bags as with a capacity of 55 gallons, but they are not out of the question for certain applications. The alternative we would suggest would likely be a gas-purge or vacuum seal, depending on the product being packaged. Example of a round bottom drum liner being tested on our Heavy Duty Large Frame Sealers. 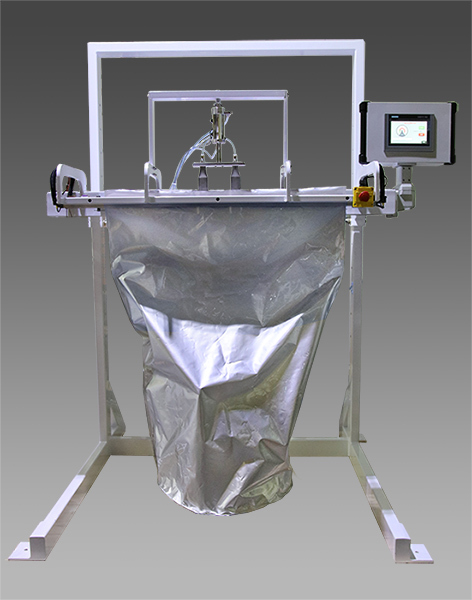 Note: in actual fill processes, the bag would be inserted into the drum prior to the fill and seal stages. In the case where drum liners are being used more for protection of the can than the product inside, the bag may be folded over the sides of the can and the lid placed on top. 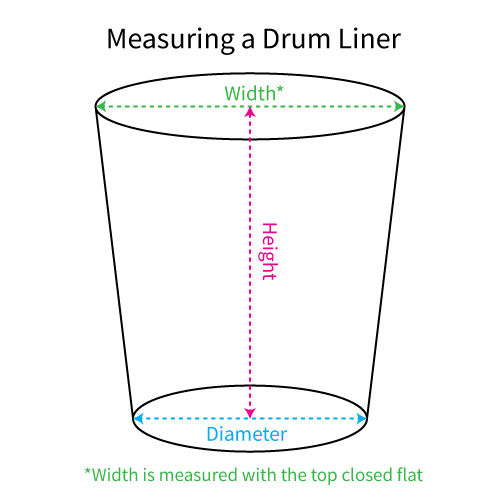 This drastically undermines the full potential of the high-barrier drum liner, but for many processes is satisfactory and convenient. NOTE: Not all drum liners are able to fold over the top. Discuss what drum size and liner size you are interested in purchasing and our team can confirm or start a sample order for you to test. A hermetic seal on flexible packaging can be achieved with any of our sealing machines, this quick guide will help you choose the unit that will work best for your production needs. Not every Industrial Vacuum Sealer applies to every application. There are different models and types of Vacuum Sealers available, and each one of those sealers has different features that can affect the way a production line works. Can't find what you're looking for? Contact us for expert advice, sales and all your customer service needs.